The Sub-prime mortgage crisis of 2007 crippled the world economy and left thousands of Americans without a home. Although the crisis occurred partly because many buyers accepted bad loans they could not afford, the banks which offered the contracts also contributed significantly to the crisis. When it became obvious that buyers were struggling to pay off their mortgages, the country’s major banks forged deeds and committed mass fraud on a scale unprecedented in American history. 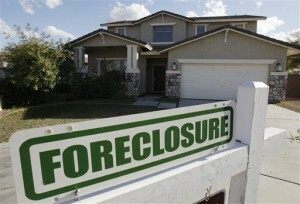 Although the economy is slowly recovering, the dubious foreclosure practices have not ceased. In South Florida, a company known as Prescott Roche has been buying up houses, and now owns property worth $3.5 million. The problem though is that the previous owners of the houses never signed paperwork surrendering ownership even though their signatures are on the “deeds.” A close examination of many of these documents reveals other errors. The attorney for Prescott Roche is David Boyd-Bey, even though Boyd-Bey is not licensed to practice law in Florida. The company also attaches notices of non-abandonment to their deeds even though the homes are not vacant and Prescott Roche has not had ownership previously. These fake deeds are reminiscent of the major bank’s attempts to foreclose during the mortgage crisis when the banks realized that they did not have the documents necessary to perform a foreclosure. Contracts with fake signatures, with non-existent attorneys and other corporate officers listed, and generally fraudulent documents were omnipresent during the sub-prime mortgage crisis. Even after a few years though, the illegal and immoral tactics have not gone away. So what should homeowners struggling to meet their mortgages do if faced with foreclosure? First, always verify whether the banks which originally held the mortgage still retain the mortgage. Companies like Prescott Roche specifically target homeowners who are defaulting, so those homeowners are often led to believe that the banks have sold the mortgages to other parties even though the mortgages have not left the bank’s metaphorical hands. Second, even if a mortgage holder threatens foreclosure, retain possession of the home until the Sheriff shows up at the door with a writ of eviction. If a homeowner knows the eviction is coming, they should pack up, but the homeowner should avoid moving out until the legal action is enforced. A recent problem which has arisen after the initial mortgage crisis abated is homeowners who are threatened with foreclosure then move out prematurely. The mortgage holder, in the meantime, has a very difficult time finding a new buyer and gives up on trying to foreclose. The original homeowners, who abandoned the property under the impression they had been foreclosed, find themselves owing unpaid property taxes because they still legally own the house. The bizarre thing about the foreclosure situation in South Florida though, is that even when the homeowners have moved out, despite retaining legal ownership, the houses aren’t empty. Prescott Roche claims possession of the houses and rents them out to tenants. In essence, the homeowners have given up on possessing the property even though they still legally own the property and are liable for all property taxes, bills, and other fees. Meanwhile, there are people living in that house under the impression they have rented the houses from a company which claims ownership, but does not actually have it. The banks who still hold the mortgages believe that the original homeowners are still in possession of the house even though they can’t pay off the mortgage. If this sounds like a confusing mess, well, it’s not a new problem. The only difference is that other companies have adopted the fraudulent practices of the nation’s banks to make easy, if illegal, money. I suspect this may have happened in California too. I think some trusts are hiding the illegally gained assets.